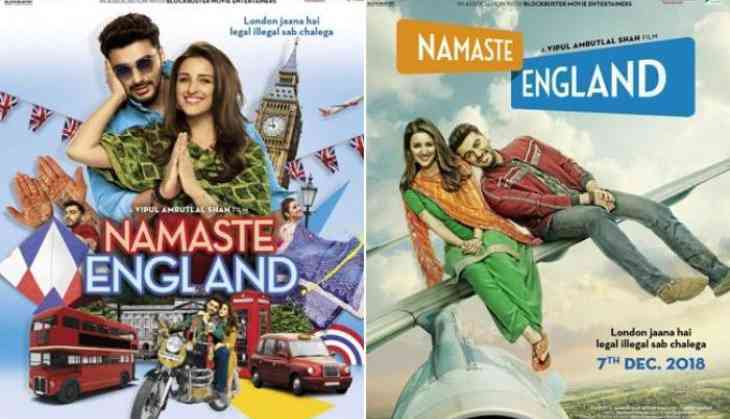 Home » Bollywood News » 'Namaste England' to release early! 'Namaste England' to release early! Vipul Amrutlal Shah's 'Namaste England' has been preponed for a Dussehra release. The decision came from the filmmakers owing to the smooth shooting schedule. Starring Arjun Kapoor and Parineeti Chopra in lead roles, the film is a sequel to 2007's blockbuster 'Namastey London'. 'Namaste England' will be shot in Punjab, Dhaka, Paris, Brussels and London. Following the lines of its prequel, the film will narrate the journey of two young individuals from Punjab to England, meshed together due to love. Namaste England is scheduled to hit the theatres on the October 19, 2018.